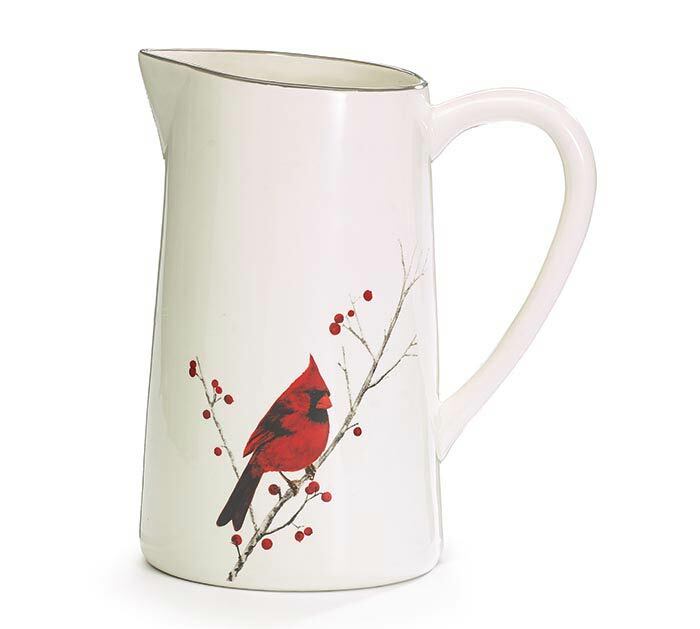 White pitcher with gray rim and decal design of Cardinal perched on a gray branch with red berries. Individually gift boxed. 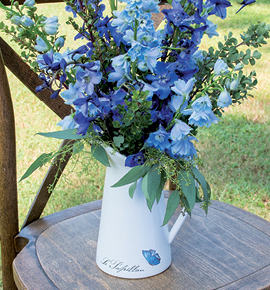 4" Opening and holds 64 oz.